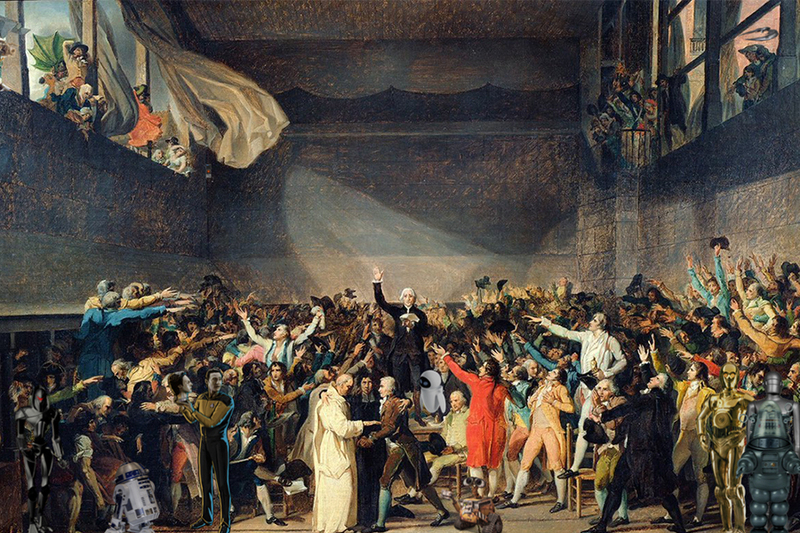 The French Revolution was one of the most important political transformations in history. Even more than 200 years later, it is held up as a model of democratic nation building. For years, historians and political scientists have wondered just how the democratic trailblazers of the French Revolution managed to pull off the creation of an entirely new kind of governance. New research published in the Proceedings of the National Academy of Sciences and from a collaboration of historians, political scientists and statisticians suggests that rhetorical innovations may have played a significant role in winning acceptance for the new principles of governance that built the French republic’s foundation — and inspired future democracies around the world. The research team, which includes Carnegie Mellon University’s Simon DeDeo, used machine learning techniques to comb through transcripts of nearly 40,000 speeches from the deliberations of the makeshift assembly formed during the revolution’s early days to hash out the laws and institutions of the new government. The researchers analyzed speech patterns to determine how novel they were and whether they persisted or disappeared over time. They also categorized speech patterns by political affiliation and context — whether the speech was given during the assembly’s public deliberations or in a committee held behind closed doors. They found that in general, assembly members who broke from convention and made their case in new ways were more effective in getting their proposals adopted. For example, revolutionary leader Maximilien Robespierre used new turns of phrase to communicate new ideas that then became new principles of the nascent government. But not every new idea was well accepted. More conservative members of the assembly, who tended to use more traditional language, may not have been as influential as their more inventive counterparts on the left, but they often played an important role in keeping debates focused and infusing them with a dose of practicality. “There are a lot of new turns of phrase that people were offering in the political lobby and the audience didn’t go for it. On the other hand, there were other things that did stick. And that’s what we call the revolution,” Spang said. An unexpected insight from the analysis was that some of the most important work of the revolution was done in the committees, which were formed to work out particularly difficult issues and then present a recommendation to the full assembly. The small group dynamic allowed assembly members who may not have been powerful orators to exert influence. “One thing we didn’t realize until doing this study was how many lesser-known revolutionaries were also working assiduously in the assembly, doing it through the assembly’s committees,” said Spang. DeDeo believes the analysis shows how important individual members of a government body can be in shaping policy and that the lessons apply to today’s lawmakers as well. The group will release the software it developed for the project so that other researchers can use it to conduct analyses of other government bodies around the world. In addition to DeDeo and Spang, Indiana University’s Alexander T. J. Barron and Jenny Huang participated in the research.